When choosing your new kitchen, you will have a range of styles to go for. These include the eternally stylish rustic kitchen, with hardwood worktops, and the ultra-modern, handle-less, contemporary kitchen. 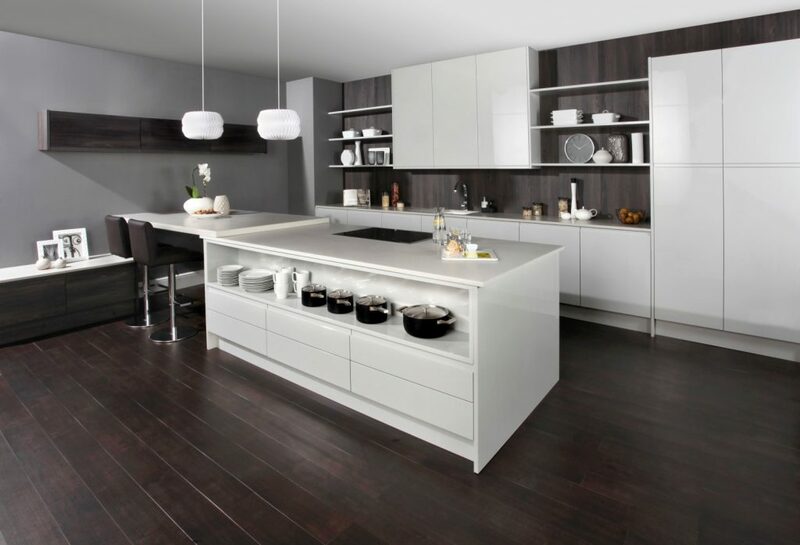 If you do opt for a contemporary kitchen, one of the first things you will notice is the high gloss finish. It just goes with the territory. 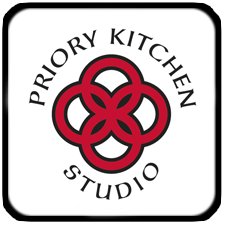 Here at the Priory Kitchen Studio we are Preston’s leading kitchen design specialists. As a result, we have produced this guide to the benefits of a high gloss kitchen. High gloss kitchens require very little maintenance. Especially when compared to other kitchen options, like timber. They require no sealing, or treating, and offer fantastic waterproof qualities right from the start. In fact, to keep your acrylic surfaces and doors looking their reflective and shiny best, all you need is a wipe with a damp cloth. One thing to bear in mind though, is that acrylic material can be scratched and marked by any abrasive material, like wire wool, or rough cloths. This means that when cleaning your high gloss surfaces, you should always use a soft cloth. One of the biggest benefits of a high gloss kitchen is the range of colour options. So whichever colour scheme you are looking to create, there is a high gloss kitchen available. From lighter shades and monochrome, to bright, bold, sophisticated colours, high gloss acrylic offers the full range. Finally, the highly reflective nature of a high gloss kitchen means that light is reflected all around your space. Not only does this make your kitchen feel like a bright and airy space, it can help your smaller kitchen feel larger than it really is. This illusion of size can dramatically transform your kitchen space. For your high gloss kitchen, why not check out our range online today, here at the Priory Kitchen Studio?